Mainly clear skies. Low around 40F. Winds NNW at 10 to 15 mph.. Mainly clear skies. Low around 40F. Winds NNW at 10 to 15 mph. Barb’s grandsons Oliver, Ian, Case and Holt at the 2018 county fair with their project animals. Three generations of Brush Creek 4-H Club members gather together to celebrate their shared history in the club. 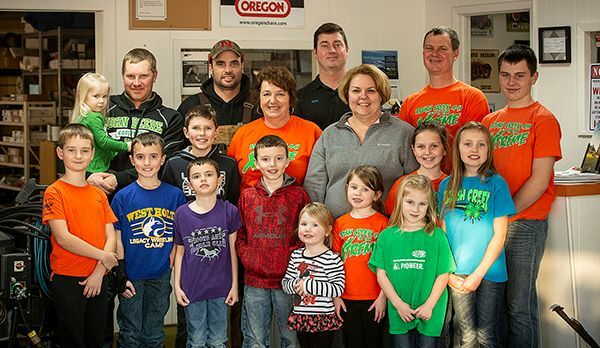 (Front row, from left) Ryder Asher, Ian Shane, Holt Shane, Case Shane, Sarah Olson, Rebekah Olson, Mattie Olson. (Middle row) Oliver Shane, Barb Shane, Linda Olson, Hannah Olson, Elizabeth Olson. (Back row) Lexi Olson, Ben Olson, Perry Shane, Kyle Asher, James Olson and Luke Olson. Barb Shane and the lambs she raised for a 1969 4-H project. The second generation of Olsons and Shanes to be in Brush Creek 4-H, Matt Olson, James Olson, and Perry Shane work on a window painting project together in the 1990s. Barb Shane with her grandson Oliver Shane at his first horse show in 2016. It takes a great program to keep people coming back for decades — for two Nebraska women, that program is 4-H. Leaning on the 4-H days of their youth, Barb Shane and Linda Olson became 4-H leaders together in 1992, when their children attended the same preschool. Still leading the Brush Creek 4-H Club in Atkinson, Neb., together to this day, these lifelong friends are now overseeing yet another generation of 4-H’ers, and sharing how the organization changed their lives through three generations. Reflecting back to her childhood days in 4-H from 1972-73, Olson said she felt a mainstay of the organization continues to be teaching the value of hard work and responsibility. Over the years, Shane and Olson found their team leader groove, with Shane overseeing livestock projects, and Olson handling paperwork, agendas and club projects. Though the club has seen many changes over the years, such as enrollment and entries handled entirely online, the pair said traditions are still the backbone of Brush Creek, which is one of the oldest and largest 4-H clubs in Holt County, in northern Nebraska. Numerous projects, including the new geocaching, are a big draw. “I’ve always appreciated that my kids could all go to the same meeting, but each could take projects that were of interest to them,” Olson relayed. Her oldest son, James, enjoyed beef and sheep projects, son Ben liked woodworking and rocketry projects, daughter Beth delighted in new home environment projects, and son Kent participated in several projects. Whether it’s being with family, or the sense of being at home in the right place, 4-H builds self-esteem by teaching children to take pride in their work, meeting new friends, and opportunities to try new activities and projects. “When I was nine years old, I remember learning to sew in 4-H,” Olson said. “It gave me a chance to learn a new skill and work one-on-one with my mom. As a parent, you can tell your kids they are wonderful, but 4-H helps prove it to themselves. 4-H helps children thrive, and strengthens them at the core. Shane and Olson are proud of Brush Creek’s heritage. “We’ve received many awards,” Shane said. “Our club works in the community to better our town.” They also assist the fair board with upkeep of the fairgrounds. 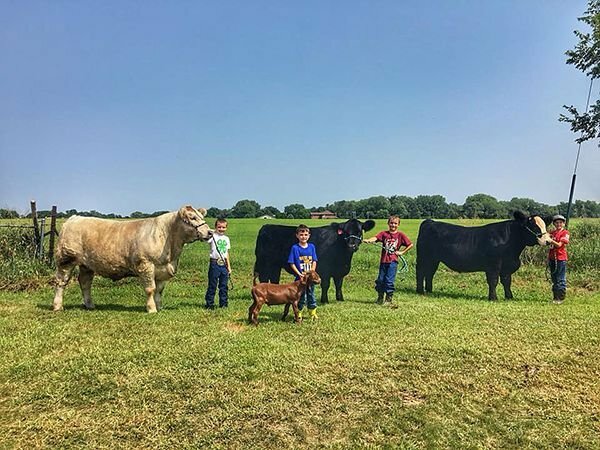 She added that her family’s summer vacation was always attending the county fair, and now her 15-year old grandson, Luke, enjoys showing beef every year. “Luke has also done woodworking, wildlife projects, cooking, Favorite Food Fare, and this past year he sewed a quilt for the ‘Quilts of Valor’ project (quilts specially made to ‘cover and comfort’ military veterans touched by war),” she said. 4-H experiences prove that a little encouragement and feeling of pride are life-changers. “Many of our club members go on to be great members of our community and country,” Shane said. Amy Hadachek can be reached at amy.hadachek@midwestmessenger.com.